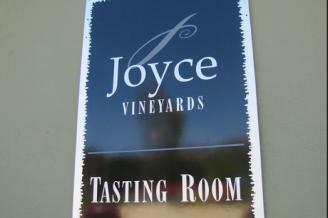 At Joyce Vineyards the main focus is to produce honest, transparent wine that represents a time and place. Each vintage will be unique, given the growing conditions that season, but one thing that will remain constant is a dedication in the cellar to produce honest wine that showcases the natural tension and energy which comes from Monterey’s coastal climate. Their spacious and modern tasting room is available to rent for your next private event.